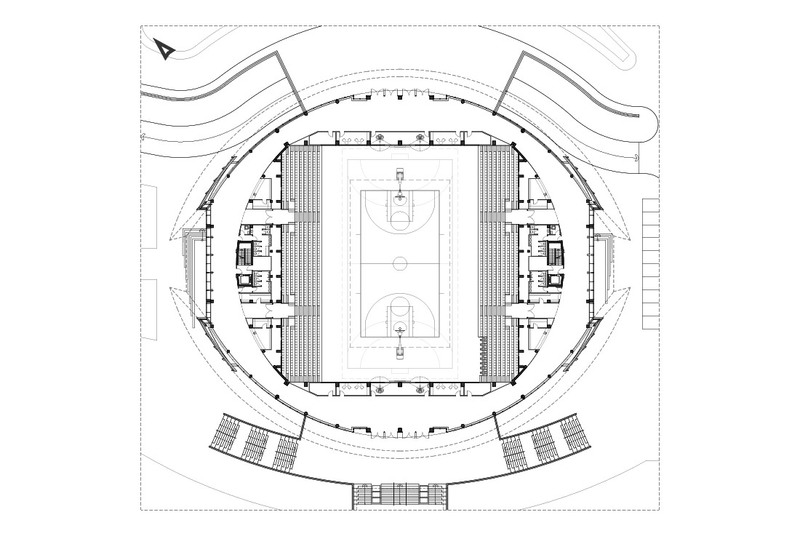 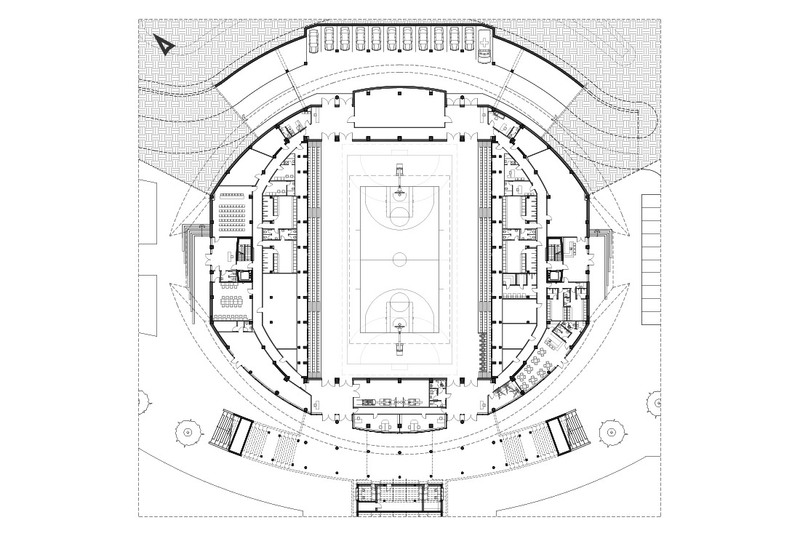 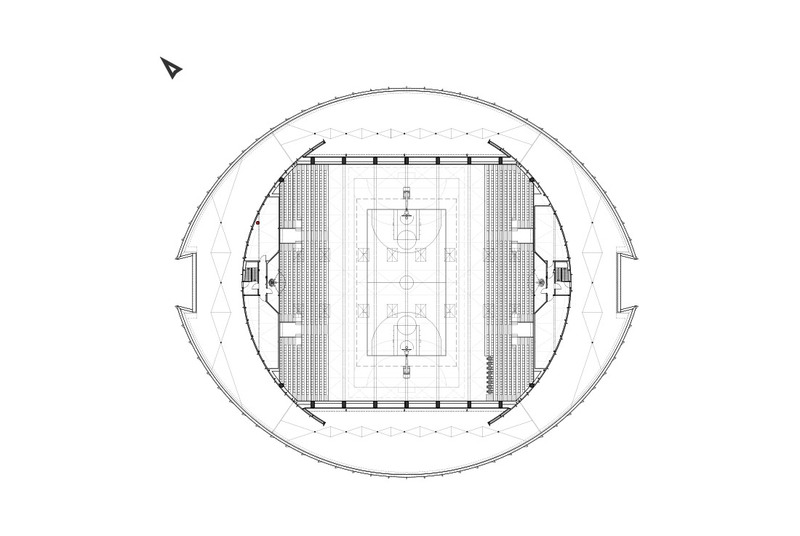 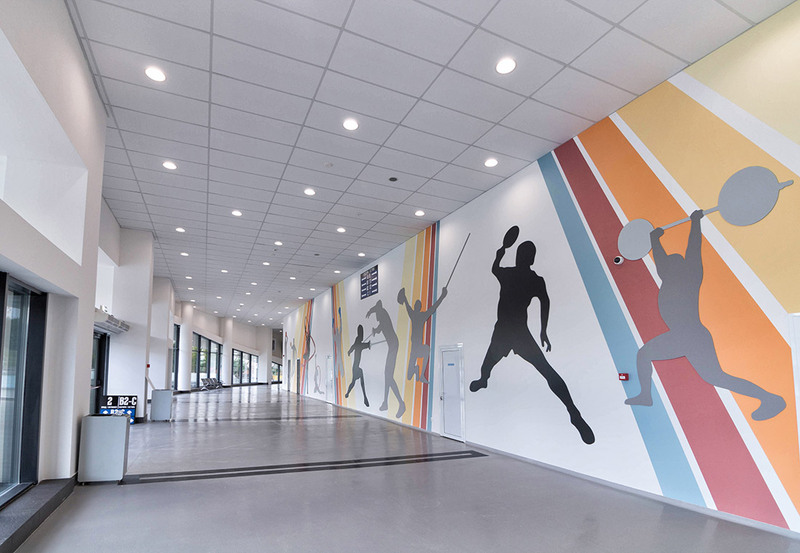 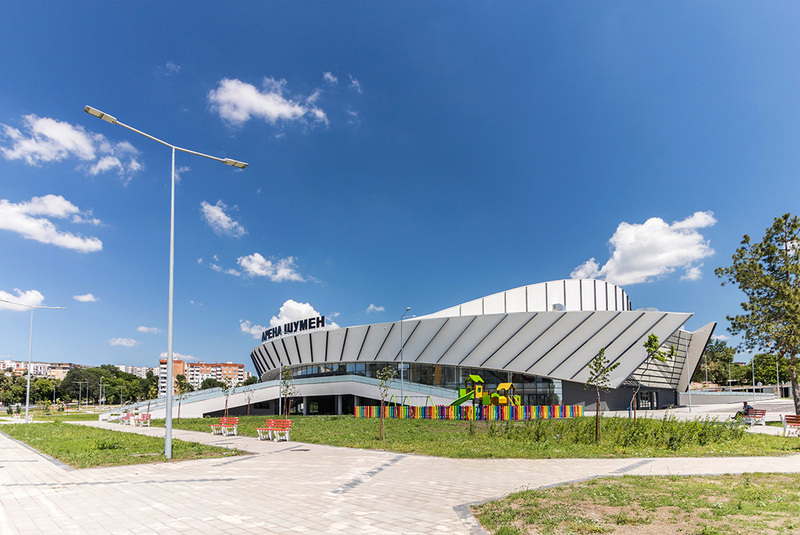 URBAN CONTEXT – Multifunctional hall Arena Shumen is a part of a new, vital, secondary urban center with an area of 55 decares, with a hotel complex, residential buildings, retail outlets, open-air children’s and sports playgrounds etc. 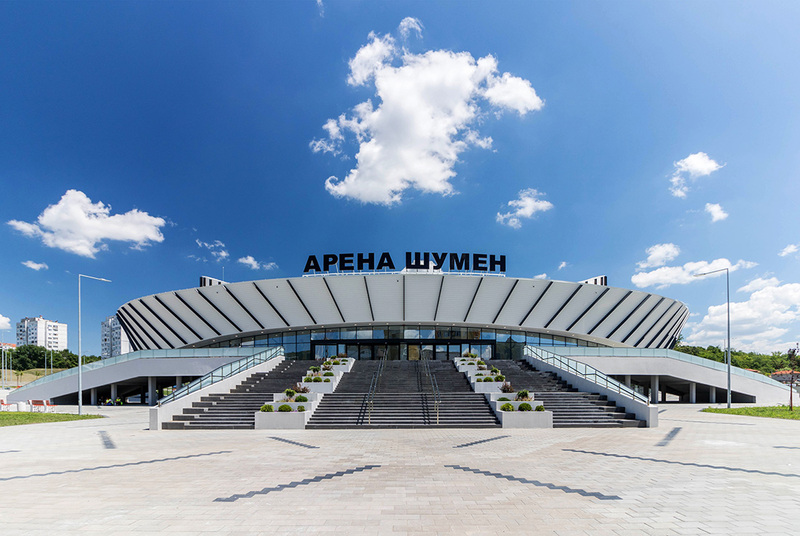 The terrain is located in an attractive zone at the entrance of Shumen and is excellently connected to the urban structure. 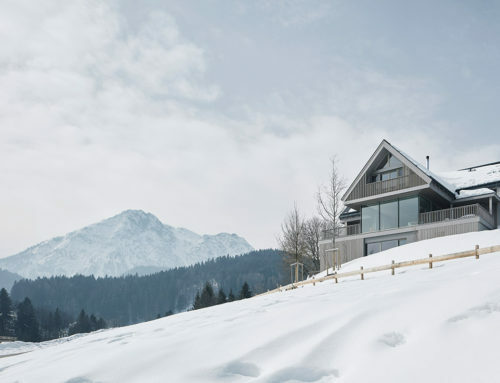 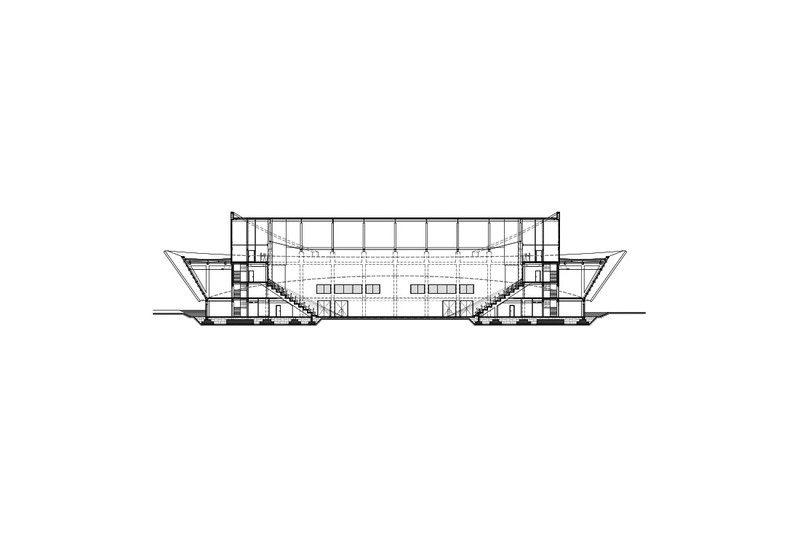 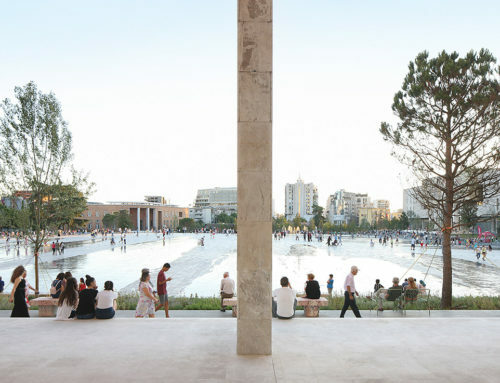 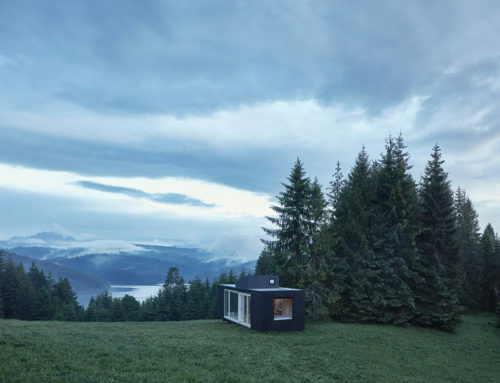 SITUATION – The situational challenge was to use the natural displacement of the terrain and maximize its effective connection with the function of the building considering its main role in the whole complex . 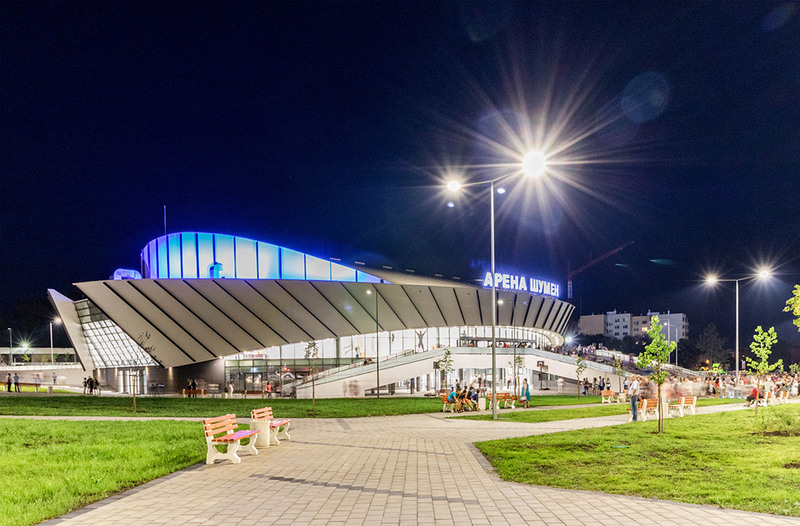 THE VISION – The intended vision of Arena Shumen is an organic, iconic, memorable image that will become one of the symbols of the city. 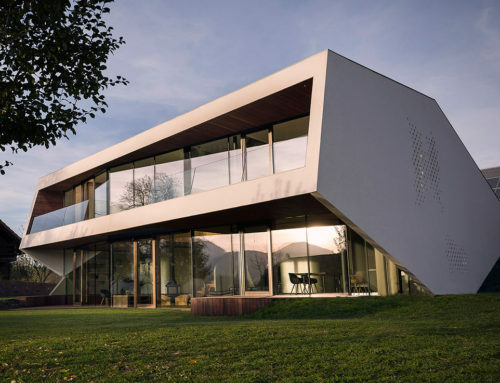 A basic principle in shaping is the economically feasible expression of interior spaces into exterior volumes. 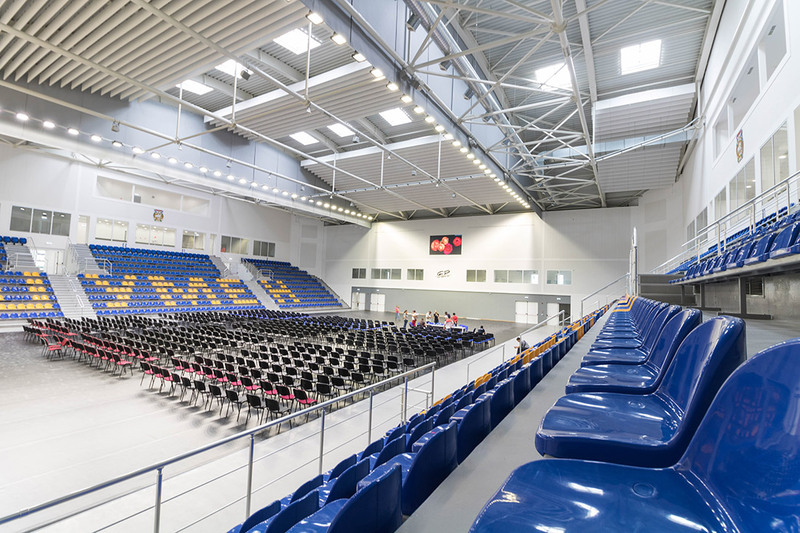 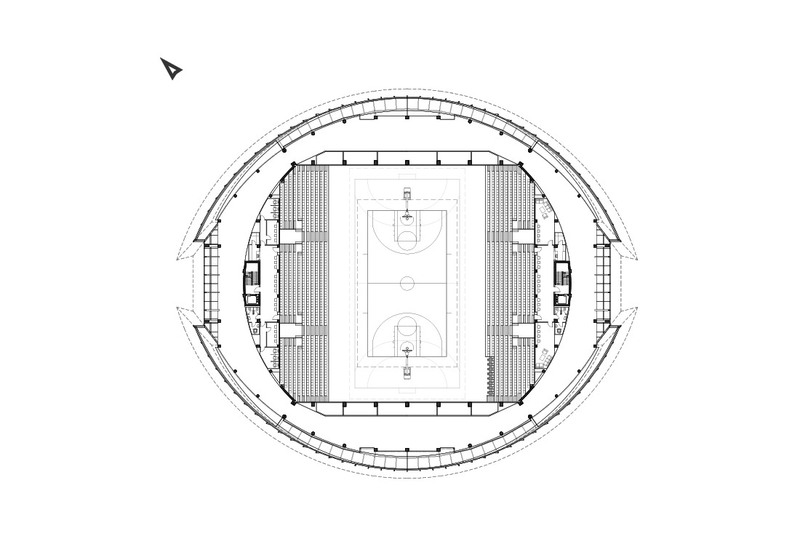 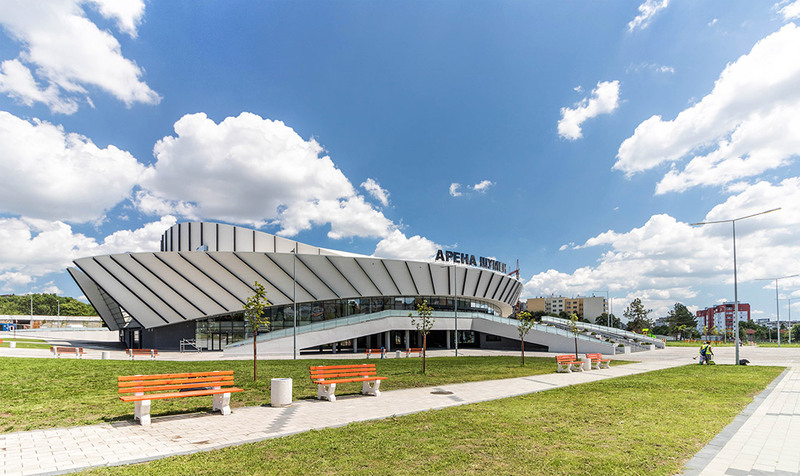 Arena Shumen is an inexpensive realisation of a complex with functional flexibility in a recognisable, architectural shape.